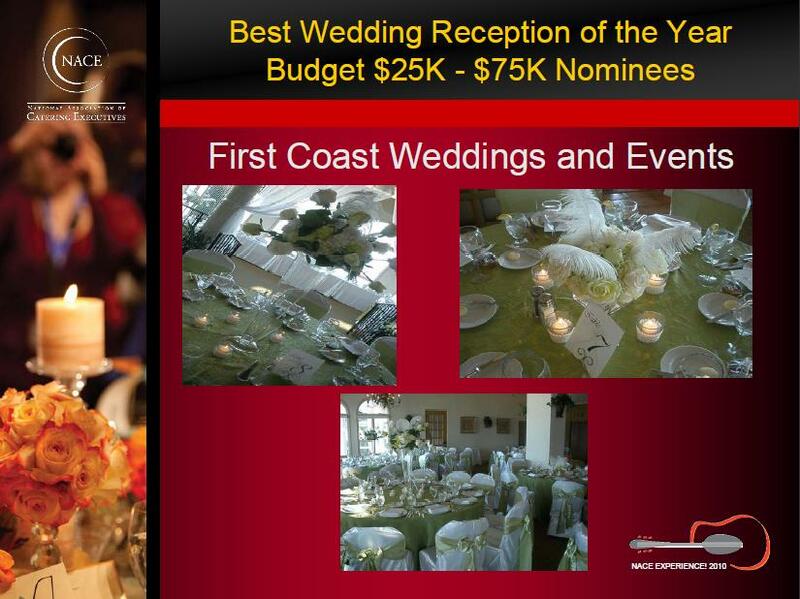 If you look at any wedding professional's website, you are likely to see some type of award they have won. Which is great! But before you use that solely as your decision-making factor, take a look at that award and see how it was earned. Brides voting: These awards are usually reputable. The Knot has awards, Wedding Wire has awards, and many other well-known wedding sites have awards. But also remember that anyone can register as a "bride" and vote, so there is still a slight chance of not-so-honest results. Industry peers or associations: These awards mean the most to me. They show that not only do your clients love you, your fellow professionals do too. The field is often limited, and judging is usually done by well-known folks in the industry. Paid "awards": Yes, they are out there. "Send us $100 for your plaque..." I don't think I really need to explain this one! I was honored to be nominated for one of the National Association of Catering Executives' Best Wedding Reception of the Year awards. NACE has a very lengthly submission process, and from those submissions, only a handful make it through to actual nominations. This year's awards were held at the NACE Experience! 2010 conference in July, and while I didn't win, it was such an honor just to be a nominee. I even got to wear a little sticker on my name badge that said "Award Nominee!" Out of 600 conference attendees and over 4,000 members, it was so special to be in such an elite group. As you are interviewing prospective vendors, please be sure to ask questions! Not only about awards, but also certifications, education, and associations.